This is the story of Zamba the lion, one of the most well-known animal actors in film history. Zamba appeared as the MGM Lion as well as in many commercials and shows. Here, the focus is on how Zamba lost his parents and his survival as an orphan cub in Africa before being found by a woman and rescued. Zamba was allowed to roam free and grew larger and larger until she could no longer safely care for him. Happily, she had heard about Africa USA, an organization looking for a lion. Africa USA offered a safe haven and trained animals to not be aggressive. Zamba arrived at the ranch owned by Ralph Helfer and slowly grew gentler. The family’s children used him as a warm place when watching TV and his best friend was one of the dogs on the ranch. Thanks to his rare gentle nature, Zamba worked in television and film. Then one day, a flood hit the ranch and forced Ralph to release all of his wild animals in an attempt to save them. Zamba led all of the animals to safety, proving himself to be the world’s greatest lion. As author of the book, Helfer tells his own story as well as Zamba’s here. It is the story of the organization he founded, the one that saved Zamba’s life. Through his training, Zamba was able to live a full life, filled with danger, learning and gentleness. The details Helfer shares add depth to the story. His moments of adventure are exciting but it is those moments of Zamba just being a lion that really are special. Lewin gives us gold-hued images filled with the dust of Africa. His illustrations celebrate the connection of animal and human, especially during the chaos of the storm. Beautifully realistic, these illustrations fully capture the love between Helfer and Zamba. This is a picture book biography that animal-loving children will enjoy immensely. Appropriate for ages 5-7. 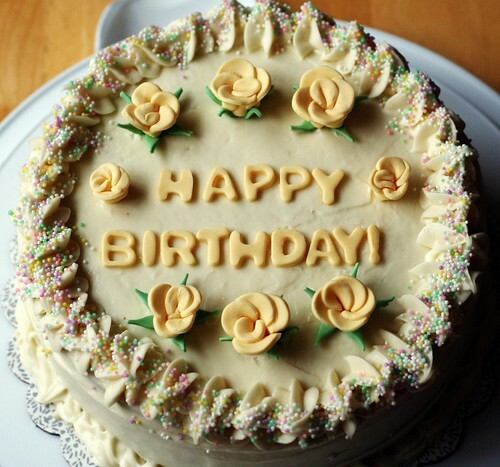 Turi Becker has started a handy blog that will help librarians, teachers and book fans celebrate author birthdays. Started in June, she lists the authors that were born on that day. For example, today’s entry has Anita Brookner, Robert Sheckley, and Sheri Tepper. At the end of each list of birthdays, you can also see the authors who died on that day. Becker keeps the entries simple and offers a nice mix of genres and ages. Give this one a look if you use authors’ birthdays at your library or school.